Update your living room with the contemporary style and comfort of this sectional with a cuddler. Rounded track arms, loose back cushions, and T-style seat cushions, along with a gray fabric and stylish accent pillows, all contribute to a sophisticated contemporary feel. 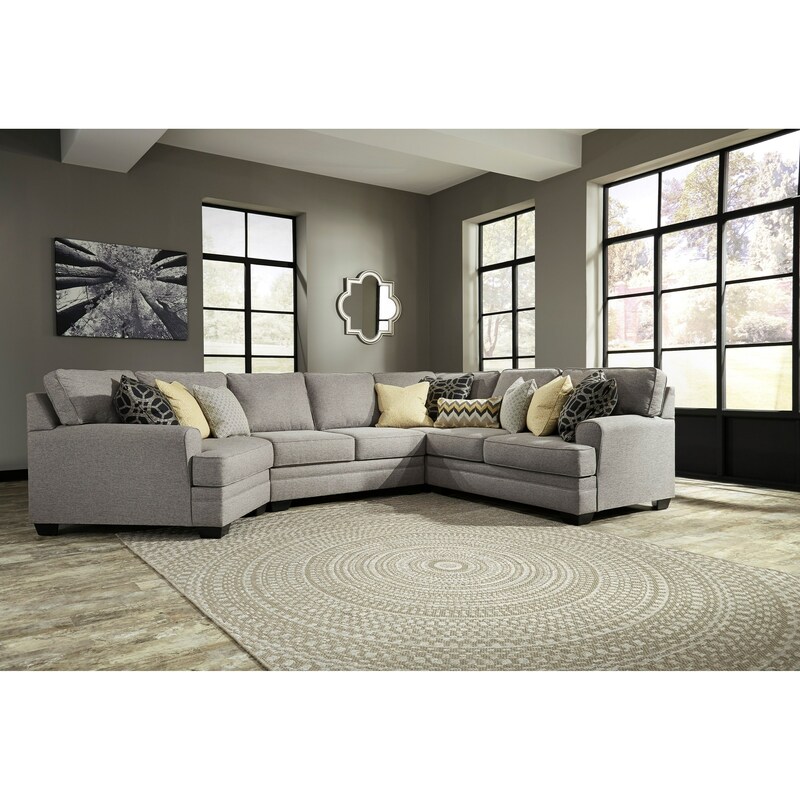 The Cresson Contemporary 4-Piece Sectional with Cuddler by Benchcraft at Fisher Home Furnishings in the Logan, Bear Lake, Cache Valley, Ogden, Salt Lake City, Utah area. Product availability may vary. Contact us for the most current availability on this product. 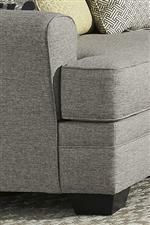 5490734 Armless Loveseat 1 52" 39" 40"
5490777 Wedge 1 39" 39" 40"
5490776 LAF Cuddler 1 59" 46" 40"
5490756 RAF Loveseat 1 61" 39" 40"
Pillow Large toss pillows with blended feather inserts. Toss pillows with feather inserts and hidden zippers. Configure a sectional perfect for relaxing and entertaining with your choice of pieces from this collection. For small spaces to large living rooms, you can have a contemporary sectional that will reflect your style. The Cresson collection is a great option if you are looking for Contemporary furniture in the Logan, Bear Lake, Cache Valley, Ogden, Salt Lake City, Utah area. Browse other items in the Cresson collection from Fisher Home Furnishings in the Logan, Bear Lake, Cache Valley, Ogden, Salt Lake City, Utah area.